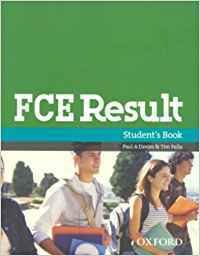 The FCE Oxford Press textbook acts as a good guide for teaching each topic, but it is not necessarily something to be depended on to engage your students. The activities presented in the textbook are often dry and lack excitement. Many of the topics are often outdated as well so teachers must find more modern and up-to-date material to work with. If we put ourselves in our students’ shoes, who really wants to sit in a chair staring at a textbook for 4-5 hours?! Here are a few ways you can supplement the FCE textbook with fun and engaging activities. For the production stage of the vocabulary section on page 72 use this lesson plan. Give each group a different travel group i.e. Honeymooners to one group, College Friends to another. Make sure to use Orbitz and expedia.ca to help them think of where to go and how to plan i.e. renting a car, buying the flight. Adapt the plan to the level of your class by having students tell more of a story for their assigned travel group, rather than a bullet point itinerary, using the vocabulary from the textbook. They can use the itinerary provided in the plan to create a rough outline before writing their story. I simply write the questions on the board to help facilitate brainstorming, such as what daytime, sightseeing will they do? What nighttime events will they do? Have the students present their stories to the class. First, go here and find as many strange images of Japanese inventions as you can that you think would give your students a good laugh and would challenge them to figure out their purpose. Create a handout with all the images. Toss a ball around to each student getting them to come up with one common invention. I often use a ball before or at the end of a unit for a fun warm up and to discover the language. Sometimes I give them 30 seconds or one minute to come up with as many inventions as they can think of in their group. Write the inventions they come up with on the board. Then pass around the strange inventions handout to each group for students to work as a group to brainstorm what each invention is and how it is used. This usually gets a good laugh. Use Dragon’s Den ‘ESL Style’ Activity! First explain to students the concept of the show “Dragon’s Den.” Show students this clip (starting at 1.18 min) to demonstrate how business people and inventors introduce their inventions. Brainstorm with them to get their creative juices flowing. Get them to think of any problems that need solving on an every day basis. Explain that the purpose of the activity is not so much about being practical when coming up with an invention, but to be creative and to use their imagination. Examples of what some of my students have come up with include a printer that irons and folds your clothes for you, a floating pen that scans information on the board and writes it into your notebook and a balloon bag that carries your things for you! Pre-teach words like investor, innovative, gadget, tool etc. Have students work in groups to come up with their own invention. Students must design the invention by drawing it, explain its purpose, who would be the ideal customer and why, and the amount they are looking for investors (their fellow peers) to give them. If prepared well, students can have a lot of fun with this activity. Watch This Video On Supplementing Textbooks with Authentic Material!